Director Daniel Duran's Wife Sharlene Grooves On Yo-Yo Honey Singh's 'Makhna'! Home BOLLYWOOD Director Daniel Duran’s Wife Sharlene Grooves On Yo-Yo Honey Singh’s ‘Makhna’! Director Daniel Duran’s Wife Sharlene Grooves On Yo-Yo Honey Singh’s ‘Makhna’! 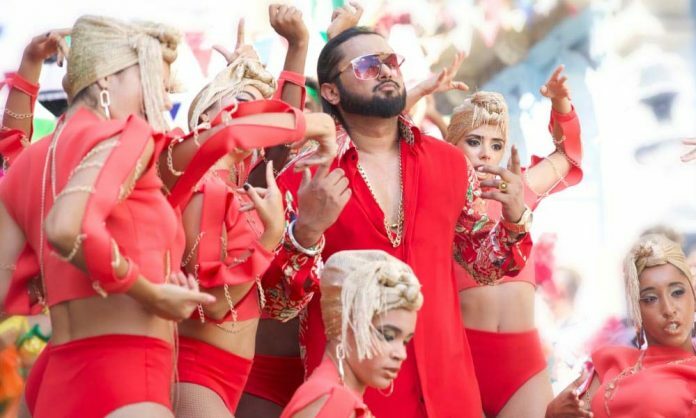 Yo Yo Honey Singh’s comeback song Makhna was one of the most awaited songs of 2018, directed by international director Daniel Duran. Yo Yo Honey Singh’sMakhna received exceptional reception from the audience and fans. Now Yo Yo Honey Singh has got himself a new fan, his director Daniel Duran‘s wife Sharlene Taule has fallen in love with the song. When Yo Yo Honey Singh took notice of the video, he immediately thanked Sharlene for her sweet gesture. Sharlene Taulé Ponciano better known as Sharlene is a Dominican-American actress and singer and wife of Director Daniel Duran.